Fish is a must for Chinese New Year as the Chinese word for fish (鱼 Yú/yoo) sounds like the word for surplus/abundance (余). That is why during Chinese New Year, we will always wish each other “年年有余” (Niánnián yǒu yú /nyen-nyen yo yoo/) which means having abundance every year. 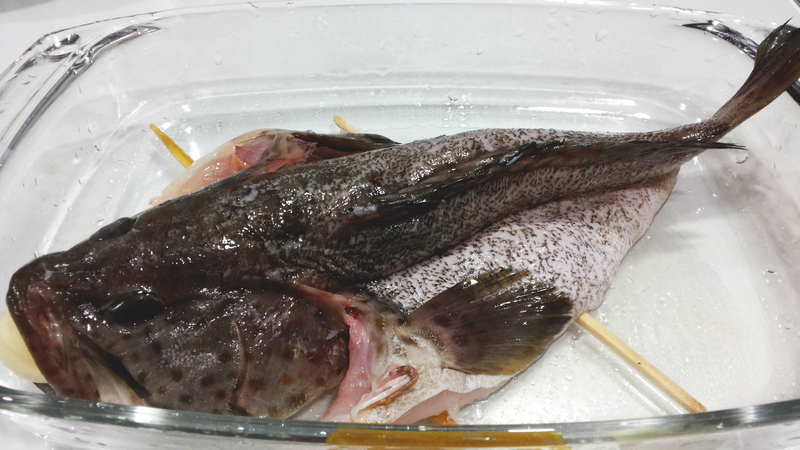 Families who are particular with culinary symbolism will purchase and cook two fish. One will be eaten on the eve and the other was saved for New Year’s Day. 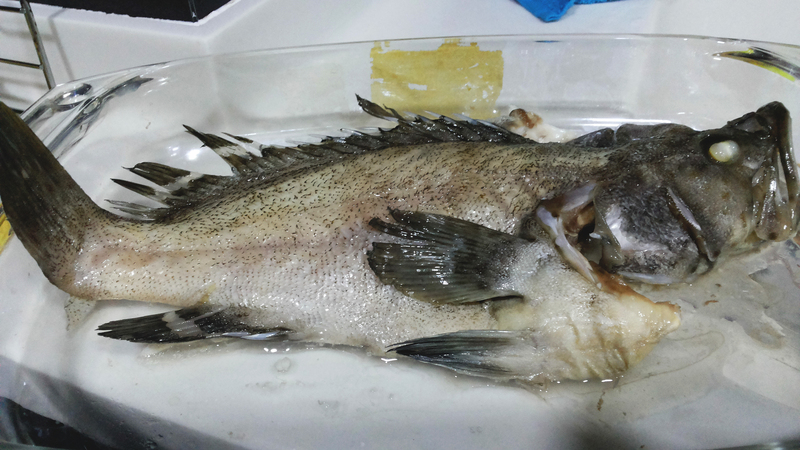 It is important not to finish the fish completely, and to have leftovers which signifies abundance. 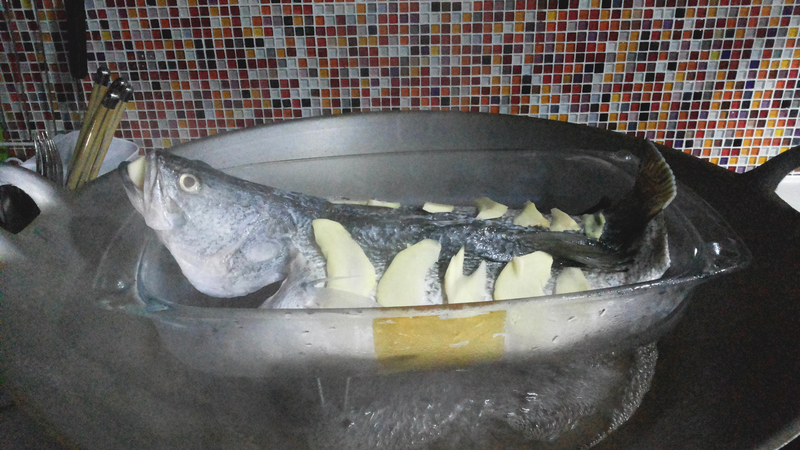 If you are preparing Reunion dinner at home and are hard press for time or running out of ideas, why not try cooking this Cantonese Steamed Fish. It is one of the simplest dish to prepare and it taste like those served in a restaurant. 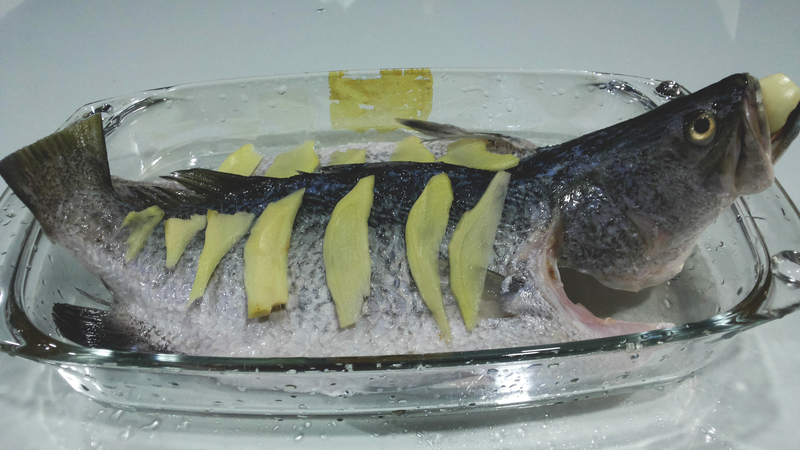 Put a clove of garlic into the mouth of the fish so that the mouth will remain opened after steaming. Drizzle 1 tablespoon of Shaoxing wine on top of the fish. Heat up a wok with enough water for steaming. Meanwhile, combine the soy sauce mixture in a small bowl and set aside. Discard the fish water and ginger slices. 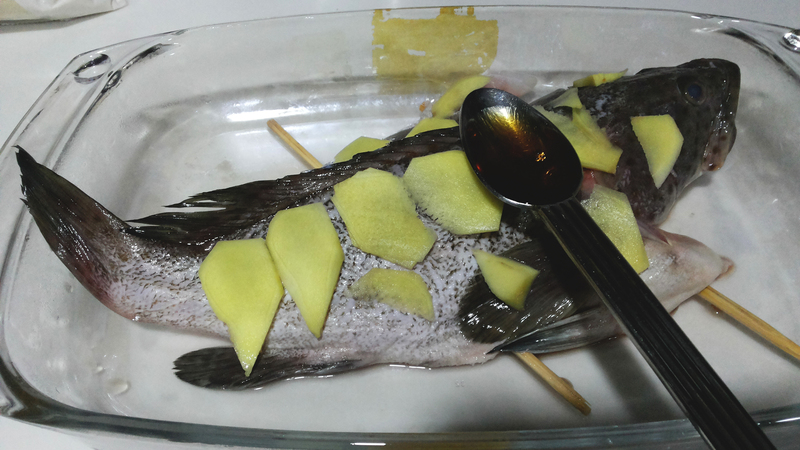 Put the julienned ginger on top of the steamed fish. Heat up a pan over high heat and add 3 tablespoons of cooking oil until it is hot. Pour the hot oil over the steamed fish. Put the pan back on the stove and add the soy sauce mixture and stir well. As soon as the sauce bubbles up and boils, pour the soy sauce mixture over the steamed fish. 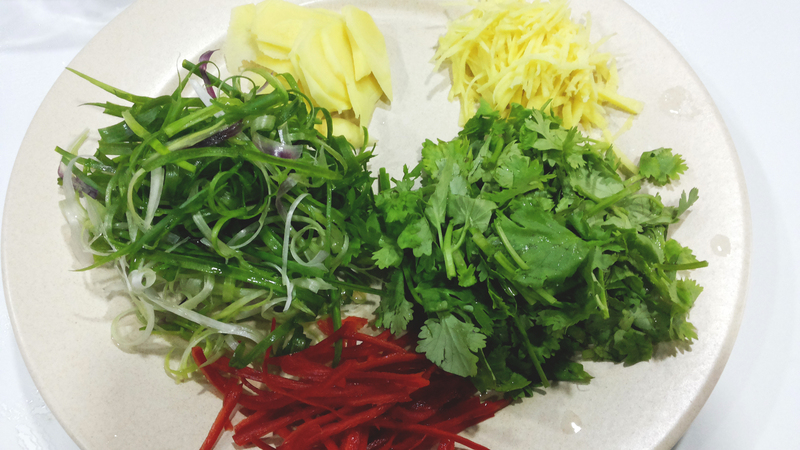 Top with the julienned spring onions, julienned chilli and chopped cilantro leaves and serve with white rice. We happily shared your recipe on our FB page https://www.facebook.com/LucianoandMartino/ and we liked your page as our page. Happy New Year!